It is almost time for the SA Weddings ‘Bride of the Year’ to be announced. On Saturday 21 April at the Clearwater Mall in Roodepoort, Johannesburg you can witness part of the magic. The twelve finalists from this year will compete for this prestigious title. The lucky winner walks away with prizes of more than R80 000 in value. Rub shoulders with some of the attendees which include Edith Venter, owner of Edith Unlimited, a well know socialite and business woman as well as Riandi Booysen who was crowned Miss Africa 2010 / 2011. You as an attendee will receive a goodie bag worth R600 and snack on delectable pastries while sipping on your beverage. Tickets to the show are free of charge and there will be entertainment as well as wedding inspiration for all of those who attend. 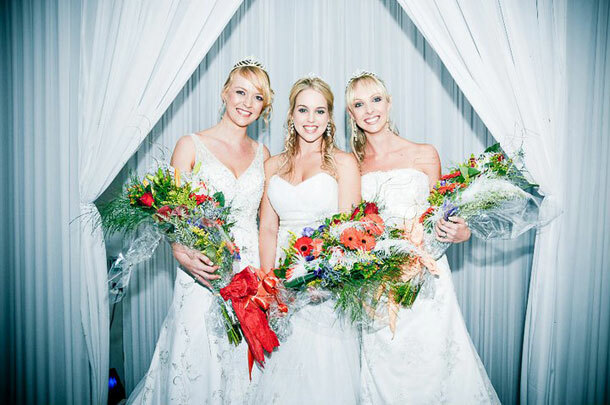 To book your seat contact Carlyn at SA Weddings on +27 (0)21 465-6910. Hi there I got married on 24 November 2012 and was really hoping to enter a few bridal competitions but only received my photo’s this week….Please help! When and when can I still enter?